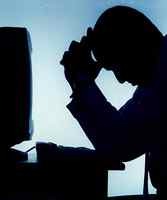 Male Menopause! 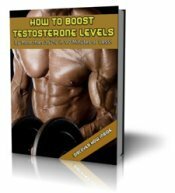 Symptoms Testosterone, & Treatment! In the beginning, women get hit harder by menopause. They go from riding the hormonal happy train, to sitting in the station flat broke with nothing left in the tank. It happens fast with women! Men have it easier, at least in the beginning. Ours is a slow decline. Sort of like putting the lobster in lukewarm water, and slowly turning up the heat. Before you know it, the water hits a boil, and you're fried! I believe that once a man gets to this critical stage, he's got it just as bad as any postmenopausal woman out there. You see, at this point, mother nature has no use for you anymore. You've gone past the reproductive age. Now your children are old enough to get by on their own, breed, and spread your genes. It's time for you to ride into the sunset! Go along with that plan and you're going to check out of life. You may still be alive, but you're not going to really be living. Your muscles will atrophy, your bones will get brittle, you'll lose your masculinity, your strength, your mind, and ultimately, your life! Low testosterone - Premature Death! The scary part about all of this is, it all begins at around the age of 30. Yup, as soon as you exit your 20's, you better start looking over your shoulder. We already know that older men with low T are at a much greater risk of premature death. Researchers out of UC San Diego School of Medicine found that young men with low testosterone levels suffer a 1/3 higher risk of not reaching middle age compared to men with higher levels of testosterone! The risk is not 5 percent, 10 percent, or even 20 percent! We're talking about a full 33 percent higher risk of premature death in young males who allow their T levels to decline. I don't know about you, but to me, that's a staggering statistic! It really doesn't matter how old you are, there are certain things you need to be doing now in order to win this battle! The emails hit my box everyday, and I can assure, there are hundreds on men using the methods on this site, and they are winning!